This comfortable, lightweight powered air purifying respirator system helps provide high efficiency respiratory protection against particles. Headgear-mounted, powered air flow helps keeps the faceshield fog-free. Intrinsically safe. The 3M Airstream PAPR systems are now available with HE (high efficiency) filters approved under 42 CFR 84. They are the only approved all-in-one powered air systems of their kind. 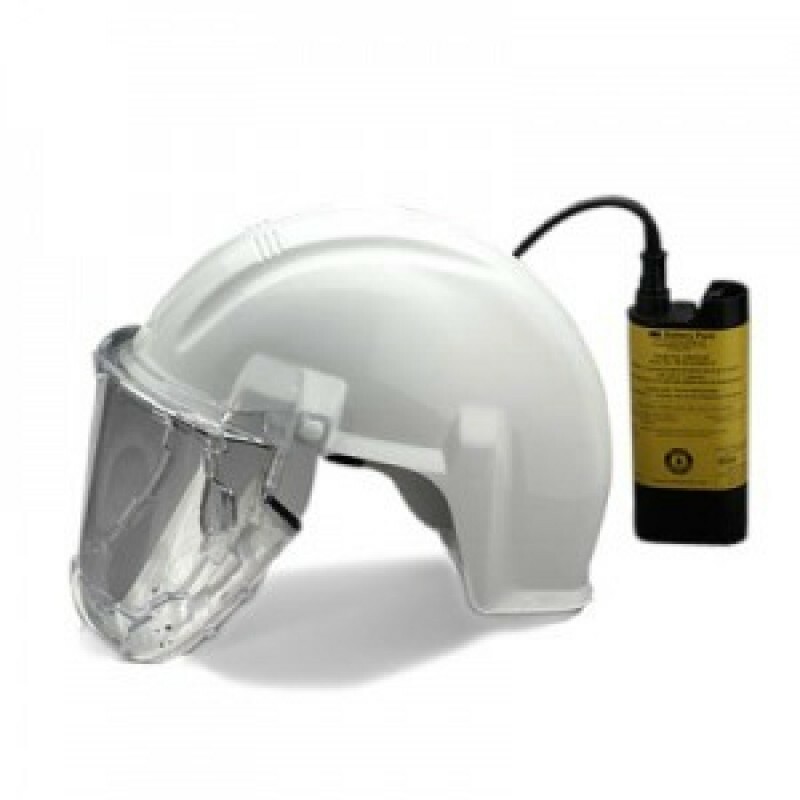 The 3M Airstream High Efficiency Headgear-Mounted Powered Air Purifying Respirator System (AS-400LBC) intrinsically safe battery pack is non-combustible & extends operation time. System is lightweight and comfortable. No breathing tubes or hoses are required. Positive pressure helps keep out particles, helps keep the user cool and the face shield fog-free. PAPR systems are well suited for agriculture and environments that are particulate laden. Also ideal for woodworking, grain handling, processing, planting, seeding, mold exposures, harvesting, grinding, chipping, sweeping, sanding & bagging. Battery charger not included. 3M Single Unit Smart Battery Charger available to purchase.